The Louisiana Hayride originated in Shreveport April 3, 1948 It's first big star was hank Williams. 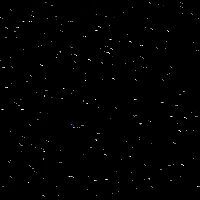 The Hayride-Hank combination put them both on the map as thousands cheered every Saturday night to the remarkable performance pf Hank's "Lovesick Blues" the show established itself as the "Cradle Of Stars" a place where careers were made. 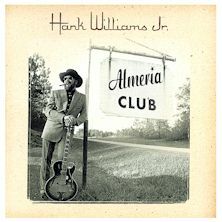 In its first ten years, in addition to Hank, it launched the stardom of Webb Pierce, Faron Young, Slim Whitman, Kitty Wells, Carl Smith, Johnny Horton, Elvis Presley, Johnny Cash, Carl Perkins, Bob Luman, and a host of singers, songwriters musicians, producers, publishers and business agents who make up a community of legends within the American music world. Johnny Cash With Hank Williams Jr.
No one has ever had the stage magnetism or charisma of Hank Williams SR. and Johnny Cash. 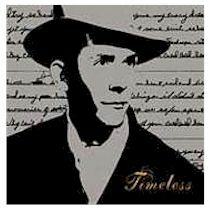 Probably no other singer's records have had the impact on country music that has been evidenced in the recordings of Hank Williams and Johnny Cash. Actually they knew each other as Hank passed away before anyone ever heard of Cash boy from Arkansas. Hank Jr. and Johnny are good friends and share many interest. 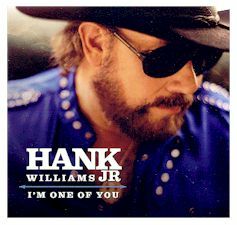 Hank Sr. was certainly an influence on Johnny and John has been an inspiration to Hank Jr. who, at this writing, has just turned twenty one. Recently Johnny related to me that he is going to make a movie with Kirk Douglas in which he will play the role of a gunfighter. I asked if he knew the art of "fast draw" and he said that several years ago he had learned from Hank Jr. who always outdraw him. They share a passion for rare guns and both Civil War History "Buffs" John mentioned that he traded Hank Jr. a rare gun for a guitar one time. 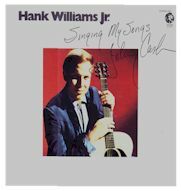 I know you'll like the way that Hank Jr. handles "Folsom Prison Blues" in picicular and the other big Cash favorites that seem to be very much suited to this talented young man who was only three when his famous father passed away and who to Hank Sr. was known as little Bocephus. On final about guns. I asked hank Jr. if he remembered anything about his father and he said "not much" then later while showing me his gun collection he pointed out the most prized guns in the group. they had belonged to Hank Williams Sr. and "little Bo" spoke of them with the kind of pride that born of love, pride in the fact that Hank Sr. had been his dad.